Readers, I've been away at the 2013 Beer Bloggers Conference learning how to be a better beer blogger. And drinking, doing a lot of drinking. It turns out the Beer Bloggers Conference is almost as much about the drinking and meeting new people as it is about learning how to be a better bloggers. Almost. While I've been gone, here are some of the goings-on in the Louisiana craft beer world. One of the things I learned over the weekend is that regurgitation of information isn't the key to a good blog... putting out original content is. I'm going to ignore that advice this once and throw out some links to the LA bloggers that couldn't make the conference. Then I'll get back to that advice and tell you what I think! NOLA Brewing is teaming up with New Belgium from Fort Collins, CO for a special Louisiana Craft Beer Brewer Week release! As reported by The Beer Buddha, the beer will be a Belgian-style single (or Abbey Ale) brewed with local Muscadine grapes, and named Swamp Grape Escape. The name throws me off, because I keep wanting there to be an "ape" in there by itself, but there isn't. No Swamp Ape, no Grape Ape... it's making my head hurt! The beer though, I'm excited for, as New Belgium makes some great Belgian-style (duh) ales and I love the use of a local ingredient. And I'm really thrilled to see another big brewery come into Louisiana for a collaboration with the local guys. Not too long ago it was Stone coming down and brewing with NOLA, now New Belgium. Having these collaborations can only be a good thing for the local beer scene. SweetWater Brewing out of Atlanta, GA is coming... I wrote about them being on their way back in April, but the official release date has been announced as August 19th! I imagine that they will start at Avenue Pub, but Mockler Beverage in Baton Rouge has their local distribution rights and they have announced that the SweetWater team will be in town on August 21st to promote the new beers. So worst case we're looking at August 21st in Baton Rouge. They will most likely be starting with the core styles similar to New Belgium's market entry, with beers like the 420 Extra Pale Ale, SweetWater Blue, and their flagship IPA. Honestly of all these, the Blue interests me the most because it would instantly be the best blueberry beer available in Louisiana. There is a lot of competition for best pale ale or best IPA, but SweetWater would have blueberry on lock down. Hopefully more styles will follow! 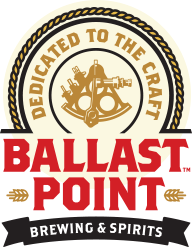 Brenton over at TheAleRunner reported that Ballast Point Brewing out of San Diego, CA is planning on making an early 2014 entrance into the Louisiana market. He even went so far as to confirm this with their VP of Sales/Marketing! One of the other big points at the conference was to confirm with your sources and not just post rumors, looks like Brenton didn't need the conference to know that. As he said, the popular and highly rated Sculpin IPA will probably be the biggest score, and we'll just have to see which other Ballast Point beers make it our way.